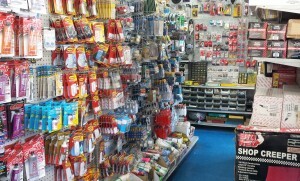 Brooklyn’s Premier selection of Hardware, hand tools, and power tools. Count on Brooklyn’s Best for a huge selection of hard to find items for your home or business. We also carry a full complement of Plumbing and Paint Supplies for all of your home and business needs.